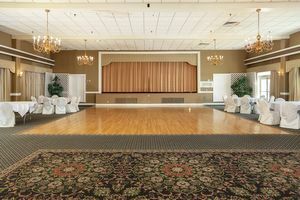 It's no secret that country clubs provide some of the best venues when it comes to hosting your special event. These venues are also ideal for hosting your next business meeting! We offer a variety of options to cater to the needs of your baby shower, dinner party, Sweet 16 party, fundraising event, conference, luncheon and so on. 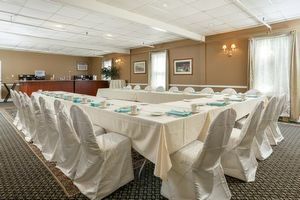 You don't have to be a member to take advantage of the unbeatable service at The Edison Club in one of our banquet halls. Whichever specific look or feel you are attempting to attain on that special day, our professional personnel in our exceptional facilities will help to exceed your expectations! Our fine staff will take care of your entire event, whether it's held in our Grand Ballroom or any of our separate venues. We are able to accommodate groups from as little as 25 guests up to as large as 200 guests. Depending on the size of your get-together, you will be able to select from a number of rooms or banquet halls to best suit your needs. Big or small, we go out of our way to ensure your event or meeting is a success! The Edison Club staff will help to carefully plan each affair down to the smallest of details. We care about the atmosphere you wish to create and will go above and beyond to help you achieve your vision. Contact us at 518.399.2772 ext. 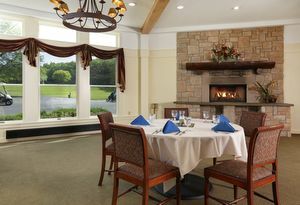 302 today, and allow our staff to plan your rehearsal dinner, business meeting or private party in our banquet hall. Our banquet & private event department will personally see to it that all your needs are met.